The first time I ever set foot on a real trail was in sixth or seventh grade. Time has made the memory of details misty. It was a class trip or rather we all could choose one of a few trips that happened simultaneously. 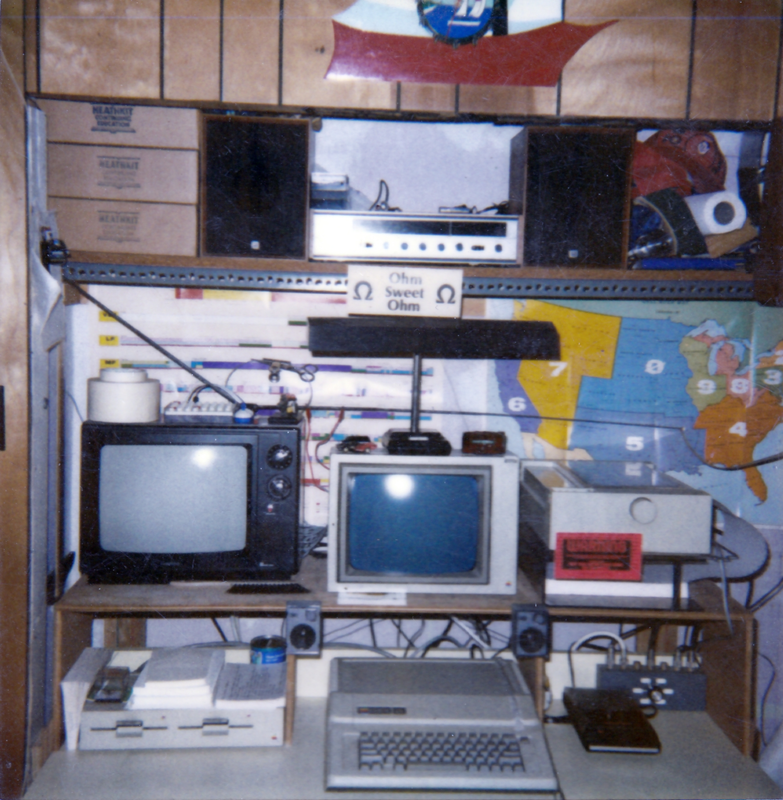 I was one of the kids who had the same computer at home as was in the school lab. The teacher was a wild-haired leather skinned hiker. He would be leading a hike through the New Jersey Pine Barrens. A twelveish mile jaunt through dry sandy pitch pine forest on the Batona Trail ending at the Carranza Memorial. For years my family had camped all over the east coast from Maine to Florida. We toured thousands of miles up and down I-95 from the relative safety of one sort of RV or another. Us kids would be invariably evicted to tents once a camp was found. Woe to us if it rained and we didn’t pitch them properly! The first thing I ever learned to read was the big green and white signs that proclaimed the names of cities and the distances to them. I was two, in the middle seat of a red GMC pickup with a slide in camper looking at the map my mother held and matching the words on the sign to the map. Some years later, I’m wearing a backpack and going to school. It wouldn’t be too much longer before something happened. My backpack held lots of stuff. Books, lunch, pencils, and lots of other things I really had no business carrying to school. It fit, it went. Eventually, like all nerdy kids of the era, I got my hands on a red box. It had two books, some plastic platonic solids with numbers on them and a white crayon inside. It was the gateway to the delirium of fantasy. Now I had a game to systematically describe all the visions possible. I didn’t have to just sit there and passively watch my television heroes go on grand adventures anymore. I wrote my own and every adventure started with a backpack and I used spreadsheets to budget the allowed space. One Memorial Day camping trip, with showroom fresh tents, I’m out with the family again. Evicted to my nylon bedroom once more, and I make a mistake. I looked up the hill and into the woods, away from the grassy campsite where tenting was easy. My school backpack was far too small to fit everything. I wasn’t doing so good in scouts so parental support for my plans to camp up on the mountain was far from positive. 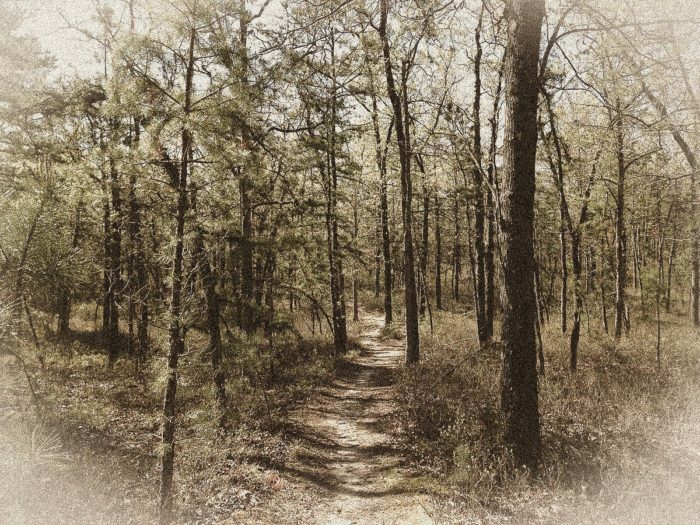 Later the same year I had the opportunity to go on an actual hike into the Pine Barrens and the seed of wanderlust found fertile soil. Fearless in following a teacher I liked, several times we had to stop for the remainder of the group. Besides him, I was the only one with forethought to pack bottles of water and sandwiches despite stern warnings to do so. When we returned I used what resources I could gather to begin researching outdoorsmanship. It was the first time I heard the term GORP. This was enough to show my parents it really was time to get a real backpack and I proceeded to attempt to build my first adventuring kit. My father presented to me a subscription to Backpacker magazine which was the defacto resource in the days before the internet. It was the first time I heard of the Appalachian Trail but did not yet understand its magnitude. I busily loaded and reloaded that pack with whatever I could scavenge or repurpose as that was the end of parental support on the idea. I never took that kit on any official hike despite my requests for a trip back into the Pine Barrens. It never left the house except to be loaded into an RV for a family trip. High School happened soon after and problems within the family began to erupt. That desire and interest to go for a walk with my home away from home on my back were firmly crushed. Yet that blue external frame pack lingered in a corner of my room. Sleeping bag, tent, hatchet and sierra cup still waiting within. Right next to it were all the materials I’d collected both fantasy and reality where I wrestled with the knowledge I was never going to go off into the woods. My father and I resurrected an old Dodge pickup from a farmer’s field. In my senior year, I drove my truck to shop class. It was one of the easiest A’s I ever got, right behind Electronics, Metal Shop, Computer Sciences, an English elective called Science Fiction and Mechanical Drawing. I would later go on into an apprenticeship as a Tool and Die Maker just as long-time American companies started manufacturing in China. Blown like a leaf on the wind for a time, it wouldn’t be until many years later that the original spark would be rekindled. By then I would have a very broad and unique set of skills. I would be in a position to pick up another backpack. With all the glee and zeal I once had more than thirty years ago, I would fill that new pack. I find my fear of the next day fading as my curiosity grows, secure in the knowledge that I have overcome obstacles in the past and will continue to do so in the future. I am landline free since 1995, desktop PC free since 2006, and now only use a laptop for larger projects. My socially responsible factory production job experienced a marketplace contraction which combined with a cultural shift in the workforce. After two rounds of therapy for anxiety and depression, despite glowing performance reviews at work, I quit the job, dumped possessions and left. I am making a trial of being a full-time nomad, using art and trail therapy to recover and exploring where the cameras take me. 2018 will be my first thru-hike, AT NOBO. On completion, I plan to convert a vehicle to use as a mobile studio and adventure base. The flat land of oranges and hurricanes is currently home. I am sizing up the possibility of a yoyo, just walking back after Katahdin and getting picked up from the Florida Trail. If that happens, I'll figure out a passport and plan to complete the ECT.